The use of underarm cosmetics is common practice in the Western society to obtain better body odor and/or to prevent excessive sweating. A survey indicated that 95 % of the young adult Belgians generally use an underarm deodorant or antiperspirant. 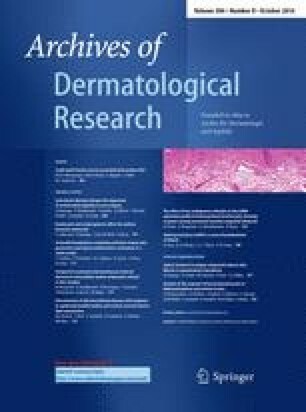 The effect of deodorants and antiperspirants on the axillary bacterial community was examined on nine healthy subjects, who were restrained from using deodorant/antiperspirant for 1 month. Denaturing gradient gel electrophoresis was used to investigate the individual microbial dynamics. The microbial profiles were unique for every person. A stable bacterial community was seen when underarm cosmetics were applied on a daily basis and when no underarm cosmetics were applied. A distinct community difference was seen when the habits were changed from daily use to no use of deodorant/antiperspirant and vice versa. The richness was higher when deodorants and antiperspirants were applied. Especially when antiperspirants were applied, the microbiome showed an increase in diversity. Antiperspirant usage led toward an increase of Actinobacteria, which is an unfavorable situation with respect to body odor development. These initial results show that axillary cosmetics modify the microbial community and can stimulate odor-producing bacteria. The online version of this article (doi: 10.1007/s00403-014-1487-1) contains supplementary material, which is available to authorized users. CC, TVDW and NB designed the experiments. CC and PH performed the experiments and analyzed the data. CC wrote the paper. TVDW and NB commented on the manuscript. This research was funded by Ghent University through the assistantship of CC. The participants are very kindly acknowledged for their cooperation in this research. The authors thank Britt Berghmans, Els Coenen, Margot Goossens, Elke Maes and Kristien Verlinden for undertaking the survey on a broad audience. The authors thank Yusuf Cagatay Ersan and Massimo Marzorati for proofreading the manuscript. Tim Lacoere is greatly acknowledged for his help with the molecular analyses. The authors declare that they have no conflict of interest.